Given the ambitious goal of the MacArthur Foundation’s $100 million grant competition — to find and fund a feasible, long-lasting solution to a major global problem — Harvest Plus’s place among the eight semifinalists should come as no surprise. 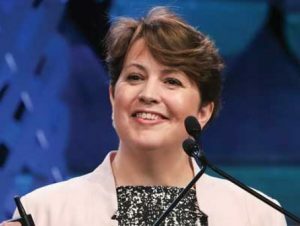 As Beverley Postma, the charity’s chief executive officer, explains in this Business of Giving interview, HarvestPlus tackles "hidden hunger," a particular kind of malnutrition that affects 2 billion people worldwide. "That’s when people are getting enough food on their plates ... but they’re just not getting enough micronutrients — the vitamins and minerals," she says. Especially crucial is a lack of vitamin A, iron, and zinc that causes major problems in children’s health and development and reduces overall productivity in many nations. Using advanced, research-backed "biofortification" techniques, HarvestPlus crosses high-yield varieties of maize, sweet potatoes, and other staples with older varieties high in those key nutrients. Nutritionists work with villagers in Africa, Asia, and Latin America to efficiently adapt new crops to local preferences, farming practices, climate, and soil. The results are dramatic: Reductions in killer conditions like night blindness (caused by a vitamin A deficiency) are observable within a month of dietary changes. But the work is painstaking: It can take six years to develop and grow to maturity a new, high-nutrition crop. With $100 million from MacArthur, Ms. Postma says, HarvestPlus could extend what it’s learned to 100 million more families over the next six years, a pretty cost-effective start to eliminating hidden hunger. Listen to the full interview here, or read the interview transcript to learn more. This piece, originally from The Chronicle of Philanthropy, was cross-posted from HarvestPlus. Learn more about HarvestPlus' 100&Change proposal here.